As I started asking questions about retirement, I kept on hearing terminology like Qualified vs. Non-Qualified plans and I had no clue what the terms mean. Read below if you are trying to figure out the difference. Retirement plans are a critical component of any savings strategy, and many people rely on their employer-sponsored retirement plan. Plans provided by employers fall into two classes: qualified and nonqualified. Qualified retirement plans, those that meet the government’s requirements for tax advantages, offer three benefits to participants. First, contributions made can be deducted from taxes in the year they were made. Secondly, employees can delay listing contributions to and earnings from the plan as taxable income, until they are withdrawn. 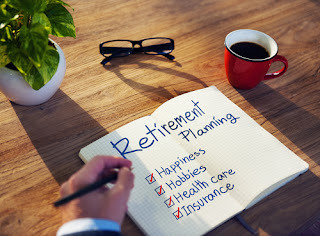 Third, paying taxes on these contributions and earnings can usually be further delayed by rolling the account into another tax shelter, such as an IRA. There are two types of qualified plans. The first is known as a defined benefit plan. The second is commonly referred to as a defined contribution plan. Defined benefit plans are named such, because the benefit to be paid is a known, definite, amount. In this type of qualified retirement plan, the employer is responsible for managing the investments. It is the employer’s responsibility to handle the risk involved with investing, grow the investment and pay the amount promised. The benefit usually is determined from tenure, salary and age. The most common type of defined benefit plan is a pension. A defined contribution plan is still a qualified plan, but it works differently than a defined benefit plan. With a defined contribution plan, the contribution is known. The benefit, or eventual value, however is unknown. In this type of plan, the responsibility usually lies with the employee. There is usually an option to contribute and a variety of investments to choose from. Employees have freedom in these plans, so they must also bear the responsibility of profit or loss. 401(k)s, 403(b)s, profit sharing and money purchase are all examples of defined contribution plans. There is a wide array of nonqualified retirement plans. These are all devised to compensate specific employees. Often, they are part of a higher position’s benefit package and used to attract the best upper-level employees available. Because there is more freedom for companies to customize these to their needs, the government does not extend tax advantages to nonqualified retirement plans. Whether an employee has a nonqualified or qualified retirement plan is rarely an individual choice. However, understanding which type of plan an employer offers can help the employee make wise decisions. It helps in the evaluation of an employee’s benefit plan, and it is necessary for wise retirement planning. Knowing how taxes impact one’s investments can significantly impact a retirement account.